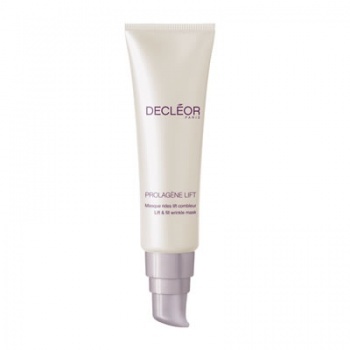 Decleor Prolagene Lift - Lift & Fill Wrinkle Mask is an innovative mask designed to specifically target deep facial wrinkles. Inspired by the high concentration of active ingredients in Decleor's professional products, this mask has been specially designed to reduce the appearance of wrinkles on the surface and deep down. It contains a high level of active ingredients including L-Proline Complex to re-activate and boost collagen production, Iris Essential Oil to increase and protect the skin’s elasticity and suppleness, Hyaluronic Acids to hydrate and smooth, plus a unique Lift Filler derived from Corn Extracts and Hyaluro-spheres to instantly reduce lines and wrinkles. Naturally perfumed with hints of calming Lavender Essential Oil, this potent formulation is perfect for evening use, when it can continually feed the skin overnight while it regenerates for long-lasting results. 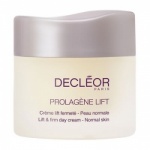 For best results, use once or twice a week alongside our Prolagène Lift range to plump up the skin and reduce the signs of ageing. Suitable for mature skin.